My grandma had breast cancer, and now she is cancer free!!!!!!!!!!!!! Actually they are learning to find it quicker by using dogs. They are training dogs to be used by doctors to sniff out cancer....yes i said sniff out cancer, apparently to dogs cancer actually has a different smell for each one! so until we find a cure we can at least find it quicker to have a better chance to get rid of it the first time round. Wonderful message with a great doll to support it. While I have not personally had a family member die of breast cancer, I have several friends who have been deeply affected by it. My best friend's mother died of breast cancer when she was eight, right about the time I met her. Unfortunately enough, her step mother also got breast cancer about twelve years later, but luckily they seem to have gotten rid of it. 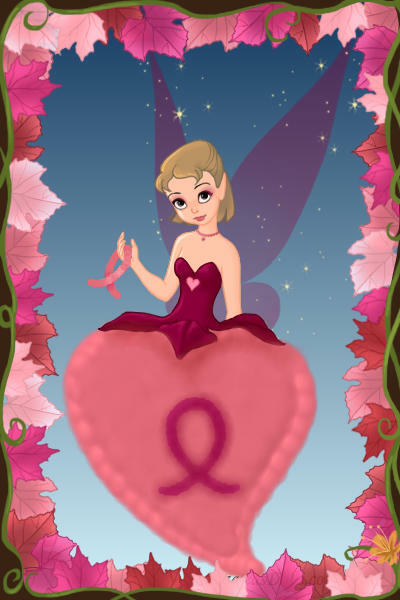 This is to help promote breast cancer awareness. I truly think someday we will have learned to fight this disease effectively!